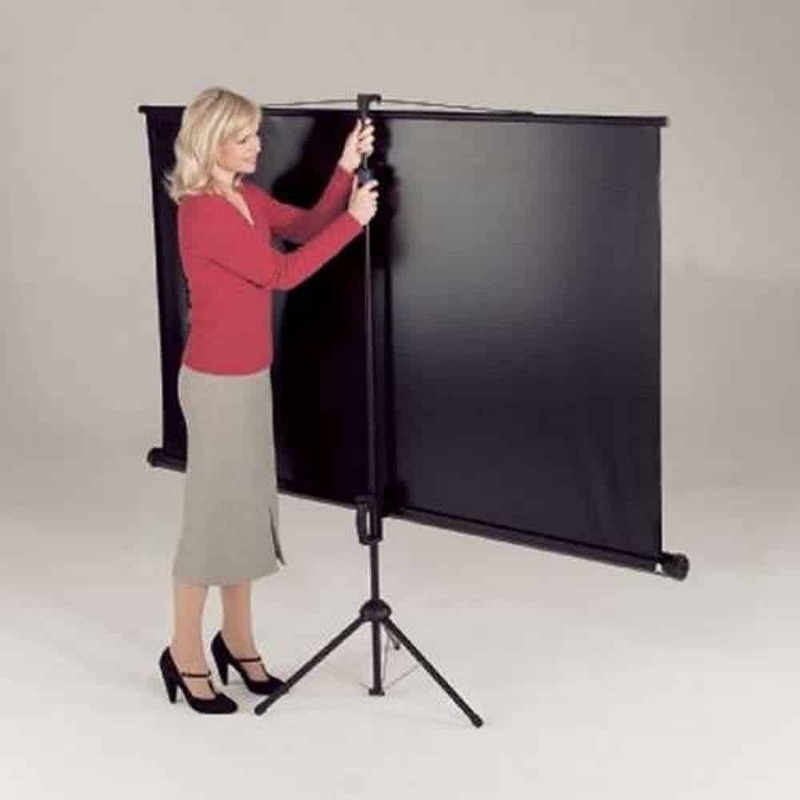 The Leader Portable Tripod Projector Screen is a sturdy and robust, whilst still being easy to position and transport. It is easy to adjust because of its positive height adjustor. This allows you to adjust the height of the screen to use it with different aspect ratios for projection. Its base is made up of a heavy duty tripod for stability. The screen has built-in keystone elimination, allowing overhead projectors to show an undistorted image. 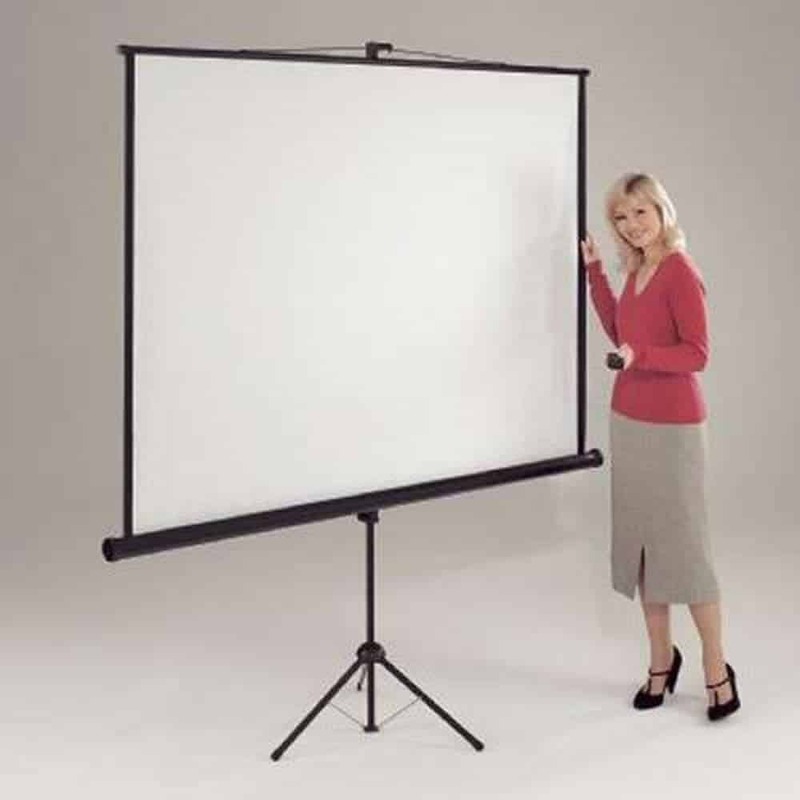 The screen is a durable matte white and is washable, giving ease of maintenance. The screen is double layered, with the black back layer preventing any ambient light from filtering through the screen and dulling the projected image. The 5cm black borders on both sides of the white screen, coupled with the black box and top bar, give a visual frame to the projected image. 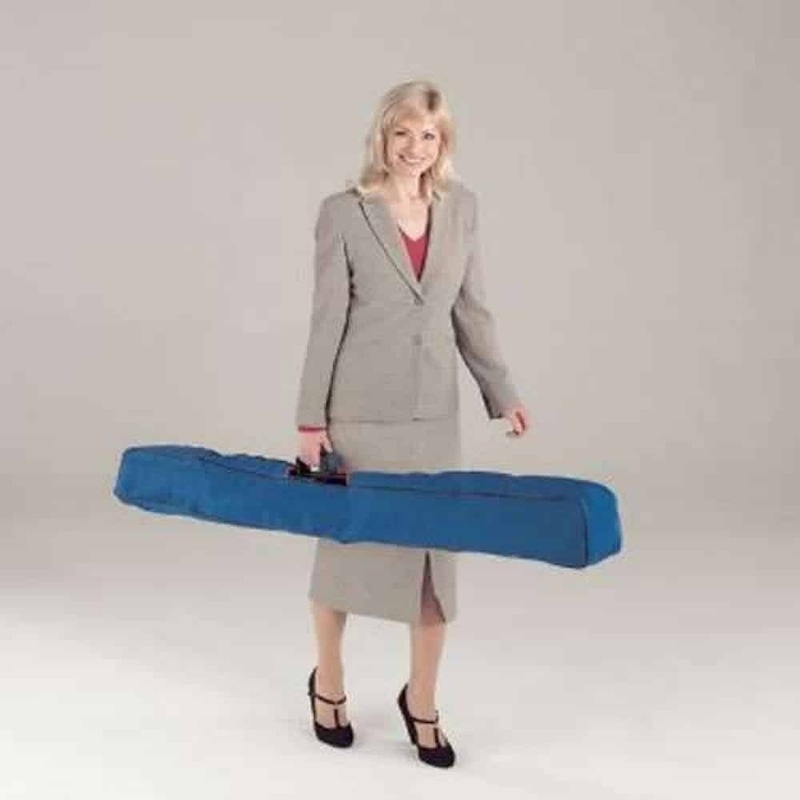 This comes with an optional carrying case, making the screen even easier to transport and store.